It is without a defined form, molded by its surroundings and changed by the atmosphere. It can be calming, cleansing, and clear. It can be destructive, suffocating, and obscuring. A famous martial artist once remarked about its strength. It can flow and it can crash. We Can’t Always Fit In. And I think that’s one of the reasons why people search out different outlets. They want to feel a sense of belonging or form a frame where their life’s story makes sense. Maybe I’m getting a bit ahead of myself here. I’m certainly not an expert in human identity, but I think how people struggle to understand themselves is a universal and personal topic. While we cannot equate our experiences in a 1 to 1 fashion (much like our analogy), there is a certain powerful quality in trying to understand ourselves through others. This Is Why I Gravitated Towards Stories. Specifically, fiction, whether it be books, games, movies, music, and yes, anime, I dived into them. As I was struggling to understand who I was, I found that, like water, people too, can be reflective. Just as when you look into a mirror and see yourself, you can do the same with art. When you are drowning in the pressures of reality, when you are lost beneath the murky waters and feel like you’re swimming aimlessly, fiction can be the compass that guides you. I was told to write a “Top 5 Anime” article. These pieces exist to give you an introspective look into each writer--what they do, how they think, who they are--their identity. However, something didn’t sit well with me. 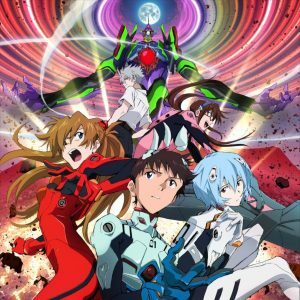 I realized I couldn’t rank the anime that I cared about. Doing so would be a disservice to the readers who want to understand me, to the stories I really respected, to the assignment, and honestly, to me. So, I wanted to give this article a different form, a different structure. I wanted it to be like water. It was Spring 2006. Around this time, I was a sophomore in high school, and there was a lot of talk about a new series. “Higurashi no what?” It took me several tries to pronounce it, and even when I finally could, I avoided it. There was an obvious reason too: I hated horror. To me back then, horror was two things: a test of courage or a grotesque compilation of gore. 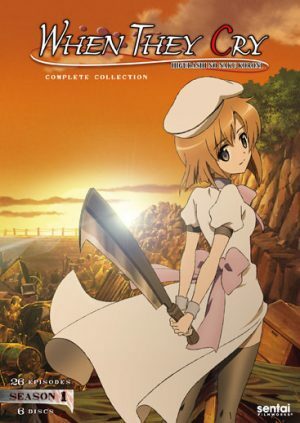 I was also really weak with blood at the time, and if you know anything about Higurashi, then you’re probably thinking there was no way I would enjoy this show. And yet there was something that fascinated me. I would struggle to explain why. I’d even hesitate to recommend it to friends, scared that they’d see the show just like how I once did--a show made to give people sadistic entertainment. But to see the show that way was to ignore the second half--the other side of humanity. I realized something then. While other canonical stories would cover the same topics present in Higurashi, themes like adolescence and youth, the fall of innocence, alienation, human savagery, none of those stories clicked with me. All these great books with mountains of literary analysis--made and taught to my specific age group--did absolutely nothing for me… but why? It made no sense to me at the time. There’s an ongoing debate that I’m sure you’ve heard about: there are no original stories, just stories that are told in different ways. One narrative structure (a monomyth), is called the “Hero’s Journey.” It is the frame and basis for how Star Wars, Lord of the Rings, The Odyssey, and more have been formed. While themes and similarities are shared, it’s hard to call them exactly the same, and the debate about how there are “no original stories,” isn’t exactly about that either. I’m simplifying here, but In the end, I think it’s about preference. If things were slightly different, maybe I would have hated Higurashi. If it released after I graduated high school, I might have never given horror another look. The thing was, it didn’t. 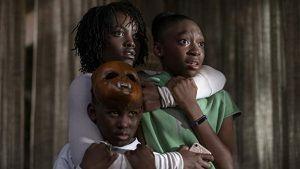 It released at the perfect time: a time when I was struggling with adolescence, a time when I felt isolated and fearful about my future, a time when I thought horror was a genre lacking in depth. In the horror genre, braving through fear is more than just a show of bravado or a test of courage. It can gauge your understanding. Beneath the guise of Higurashi’s gore and violence, behind the veil of fear, there was something that needed to be understood. Yeah, humans can be savage. Yes, humans can harm each other brutally, murdering each other in irrational ways. However, if we let violence defines us, then we’re doomed to a cyclical narrative, an infinite hell dug for ourselves. When I was done with season 1 of Higurashi, I wasn’t scared of a curse or some vengeful god. I was scared of us. When I was done with season 2, I wasn’t scared anymore. In the place of fear, I felt an emotion that I had forgotten. Amidst the chaos of my childhood and isolated upbringing, I remembered what made me feel connected to others. It’s amazing how just one story changed me forever, and I guess there’s some dark humor that I remembered empathy through a genre that’s rampant with villains who’ve lost it. I think it’s even fair to say it was irrational. But… here’s the thing. It made a lot of sense to me. Growing up, we have to deal with the whirlwind of our emotions, especially during adolescence. How we feel isn’t always rational. We need the framing and context of experience. We need to give words to our emotions and allow reason to guide our actions. Without direction, the mess of our youthful emotions spirals into insanity. When fear wins over courage. When emotions and logic isolate themselves from each other. When people can’t forgive, then you have the foundation of what makes Higurashi a horror. The mystery behind the events of the story--the true story--is something I’m trying hard not to say. 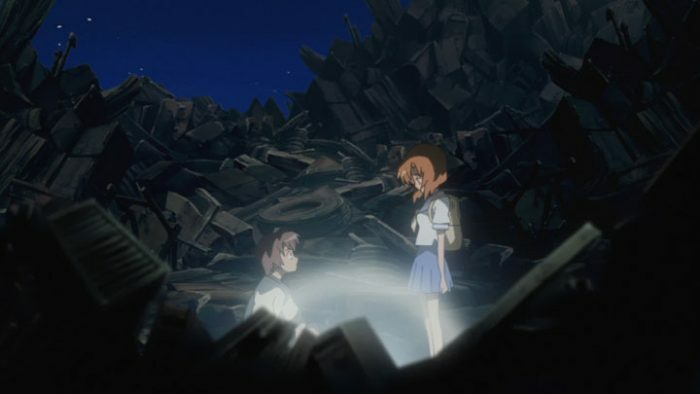 Higurashi is such an intensely personal story that I felt the only way to present it was through a personal lens. To say this was difficult is probably an understatement--talking about a mystery without spoiling gave me headaches, but if reading this has made you want to watch it, then I’m thankful. I hope the themes intrigue you and open your eyes to see why people appreciate the story. A little courage is all it takes. I have a strange relationship with film, a medium that was absent most of my life. Famous pop-culture references would go right over my head, and to this day, I struggle to name highly acclaimed actors. Then things started changing with this movie. I didn’t exactly have a phenomenal record with the original series. 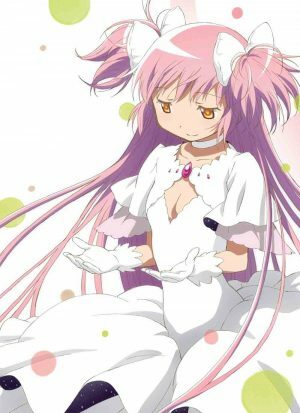 Puella Magi Madoka Magica was written by Gen Urobuchi, and while I did enjoy some of his works in the visual novel industry, I was unsure of how I felt about him as a writer. The original series didn’t motivate me to learn more about it, and when I was invited to see the movie in theaters, I took it more as an opportunity to eat popcorn and talk to friends than be entertained. ...From this point on, the movie had transitioned away from the common ideals of the magical girl genre. The shared, innocent belief that friendship could triumph over any obstacle, the belief that by understanding your own feelings you would gain a strength that would guide you into adulthood. Those ideals, bright and vibrant like the colors that defined this group of 5, bled out until only darker hues remained, the black of the shadows and the purple left behind. The red, blue, pink, and yellow--standard colors often used to identify magical girls--represented something nuanced in the movie. The genre has a huge history behind it and usually, the intention of the magical girl genre is to provide role models for adolescent girls. Characters would be color-coded to give them their own separate identity, and then viewers could relate or empathize with said characters. With so many characters, the hope was no one would feel left behind. …But the problem was, someone did. In the original series, these colors didn’t just fade out, they died out, and just like in the movie, the stark transition in tone and colors was reality settling back in. The fantasy was disappearing, the hope was fading. Once the magic was gone, there only remained a bitter truth: that none of it was real. 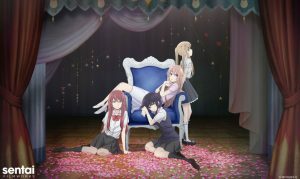 The magical girl genre wants to emphasize the value of bonds and connecting, but the movie wants to show you the opposite, the emptiness of being divided. Not the divide between school life and fantasy life, not the divide between real self and fantasy self, not the divide between good and evil. The divide where you no longer belong. The divide when you realize no one can relate to you--that in reality, you’re absolutely alone. Homura never occupied the same world as the others. Her power to control time, the power to direct its flow, inevitably came back to haunt her. Freezing time meant freezing her growth. The world she influenced became her own, a world that lost its brightness, beauty, and warmth. It’s a world bathed in the same colors that define her. The world we saw on the screen was the same one she saw every day. When I watched the original series, I never understood that part. The part that was telling me, “there’s a story people are afraid to say.” The one where if you said it, you were looked at differently. The one where if you told the truth, you wouldn’t belong. Homura’s story didn’t fit the usual magical girl genre. The cold truth was she didn’t fit in with her own world. If Homura didn’t fit into the same world as everyone else, then where else was there left to go? The movie chose to go inward, and I think it’s for this reason I’d describe it as a “mood piece.” It’s a film that wants you to empathize with its protagonist and focus less on logic. The movie doesn’t fall to pieces if you focus on logic--the rationale behind her actions. It’s just…people got it or they didn’t. They understood her mental state or they were confused by it. There wasn’t just a division between Homura and the characters in the film, there was one between her and the audience. To explain that through logic is probably the most difficult thing I’ve tried to do. ...Because depression doesn’t exist within a realm of logic. Writers far more capable than I have tried to explain it to their readers, and I’m sure that for those in the know, describing the state of depression is like describing red to a person who’s never seen its color. To convey that mental state and have it understood is somehow infinitely more difficult, and up until I watched this movie, I knew how it felt, but never how to say it. All I understood at the time was finally, “someone understood what it felt like.” Even if Homura couldn’t relate to anyone, it was that aspect that made me relate to her. I laugh at this now, but I guess the magical girl genre does include everyone. At least, it finally included me. When it was originally a manga, the silence between characters spoke to me. Maybe that’s a bit weird: silence speaking. It seems like an oxymoron, but the lack of sound put me in the right mindset. 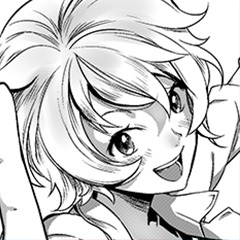 Ooima Yoshitoki, the artist, and writer of this manga, did something I wasn’t expecting. That lack of sound--she used it to breach an obstacle between the readers and the characters. She wanted us to get it: what it was like to be in a world without hearing. For much of the manga, I was in awe. Ooima truly had a mastery of the artform. Through her sympathetic paneling, she allowed readers to see frame-by-frame views of how characters reacted. Different space compositions meant a different focus on the characters. People who felt isolated would fade out of the paneling. Characters who were more intrusive would occupy the panels of others. Empty space, the absence of words or the character, said so much. She directed a story whereby saying nothing, there was so much more being said, and yet, by saying so little, there was so much left unsaid. However, we’ve gone past the age of silent films... So what now? From a medium where the sound is absent, we’ve gone into a medium where the sound is now considered a norm. Maybe some stories just aren’t meant for an adaptation. ...But that’s not this movie. 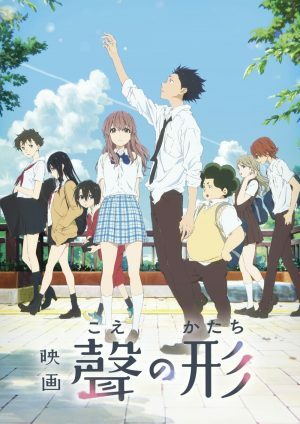 A Silent Voice handles the issue of sound in its own way. It becomes a conductive material through which our thoughts transfer. Music is sound played with a purpose, and its tone helps create a mood and add subtlety. When the camera focuses in on body parts, very often the hands used for sign language, the absence of music forces us to listen to what’s being said or not said. Muffled music gets played when we’re in the headspace of the deaf main character. Clarity happens when it leaves. The tempo slows when things feel frozen and rises when things move forward. If our voice is how we convey our thoughts, then the movie conveys its meaning through music. Through the manipulation of sound, we’re able to understand different characters--we enter into their thoughts and perceive the world the way they experience it. 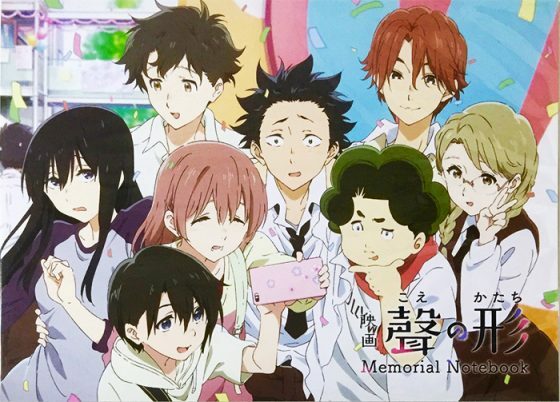 A Silent Voice is a movie that wants to narrow the divide between people. Just like in real life, there are natural divisions between people and these become obstacles that impair our understanding of one another. These can be one’s past, body, or emotions. These can be the timing, the context of our relationships, or the setting. These obstacles can be anything or a combination of them, but despite all these barriers, people try to convey their words. Even a silent voice can be heard. My relationship with Monogatari came late in its release. So late, I’d hardly call it fashionable. When forums discussed the show, I’d often ignore it, and when friends would praise its merits, I held a stoic expression, nodding as if I understood. I was clearly out of the loop on why so many were talking about the show. It took 8 years after its release that I finally gave it a try, and in many ways, this was a blessing. If you’ve gotten to this point in the article, it’s pretty evident I respect movies and novels. The extent to which I care is something I stumble to convey--the effort it takes to express my thoughts feels like I’m thinking in one language and typing out another. That process of “translating thoughts,” I believe, is why Monogatari is so influential to me and its audience. It’s a masterful example of how to properly adapt one medium into another. The conventions and expectations of one format won’t always transfer well to the next, and knowing how to use the strengths of visual media to accentuate the source material is both a challenge and an opportunity. Akiyuki Shinbou, the main director of the Monogatari series, expresses such a rich interpretation of the original work that, to this day, I’ve yet to see an animated tv show that meshed the beauty of writing, television, and film so wonderfully. 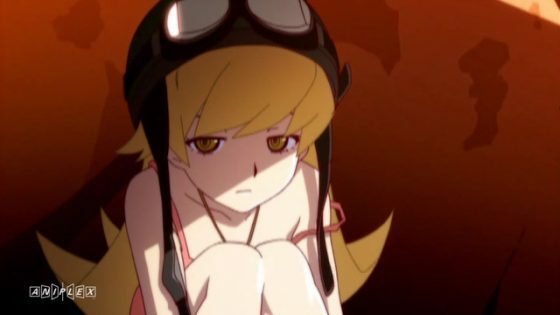 Monogatari was originally a light novel. Typically the light novel demographic is middle/high school students, and while the Monogatari light novels might diverge a bit from this demographic, what a reader accepts in one medium doesn’t always translate well to another. Ultimately, Monogatari needed to retain the original audience (readers) while gaining new ones (viewers), and what better way than to adopt a “new” style, one that historically focused on dialogue? One of Monogatari’s remarkable features is its visual. Several of its aesthetic qualities originated from a European film movement that started in the late 1950s. The French New Wave, or La Nouvelle Vague, was a movement that prided itself on experimenting with the film medium and wanted to diverge itself from film conventions at the time. The cost of film, in particular, was a concern for new directors, and this would give birth to different movie techniques found in modern-day films like frequent use of jump cuts, objects to represent characters, and the 4th wall break. 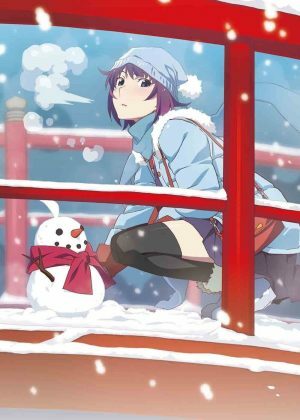 So many elements of the film style show themselves through Monogatari, and their purpose helps reinforce the writing and invoke viewer attention to the dialogue. Jump cuts are an editing choice where you purposely break the continuity of an action. When characters move from place to place while having a continuous dialogue, the jump cuts help viewers through different visual stimuli (different settings) and forcing them to make a connection. If a glass is empty, then a director uses a jump cut to a glass full of water, then you’ve skipped the pouring of water, but the absence of the pouring requires you to connect the dots. Objects used to represent characters are common too. You don’t have to portray two characters speaking face-to-face. You can have the main character’s very animated hair speak with its lively swaying, have the face of a phone represent the speaker through conversations, or introduce new objects to help viewers understand how they relate to the character speaking. Fourth wall breaks can help viewers pay attention to the medium they’re watching. Calling attention to the medium breaks immersion, but it can also call attention and redirect your focus. It’s a light novel when the chapter number appears on the screen. It’s a tv show when the character asks you to view the next episode. It’s an anime when characters talk about how they’ve fallen out of their respective archetypes. My appreciation for Monogatari comes from how many layers the show gives its viewers to appreciate it. If you’re confused about one element, there’s always another. Writers can enjoy its nuanced dialogue and subtext. Anime and light novel enthusiasts can respect how it lovingly treated the characters with detail and careful consideration. Movie hobbyists can value its directing, visual segmentation, and its sincere respect for its source material. 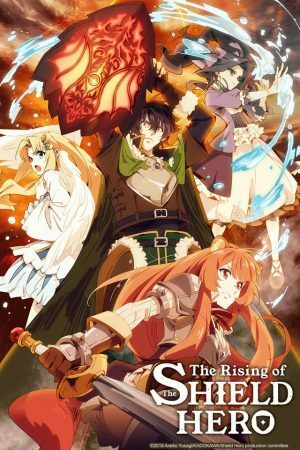 The movie series was an all-star combination: several different directors, a new and now famous animation studio (ufotable), music composer Yuki Kajiura, the affluent vocal group called Kalafina, and of course the author of the novel Kara no Kyoukai, Kinoko Nasu. This dream team would go on to create one of the most ambitious projects in animated history. Seven original movies each featuring a different director, each with a particular style. The appeal certainly was there, but the risk was as well. Just like in the novel, the movie events happen out of order. This chronological difference allows for a more focused individual narrative and an overarching narrative. On one hand, you have the enclosed story within each movie. On the other, you have the overall story, the process through which the protagonist develops. The order of the movies was thematically structured, their placement adhering to how you would construct a story. How a story (typically) constructs its dramatic arc is as follows: an introduction (characters and setting) rising action (introduction of a problem, the rising of tension, and overcoming of multiple problems), climax (highest point in tension and critical point of the story--the problem must be confronted), falling action (tensions ease in relation to how the climax was handled), and finally resolution (the finale of the story and how things have worked out). The original 7 movies fall into one of 5 above categories, allowing the directors to emphasize what part of the dramatic arc their movie governs. Earlier movies will satisfy the introduction aspect, middle movies will deal with the rising action, and later movies will deal with the climax (the 5th one in particular), falling action, and resolution. The release order also had another strength. The specific placement of the movies created a “conversation” between them. As an example, the second movie Chapter 2: Murder Speculation Part A acts as the backstory. From it, you learn about the two main protagonists, Shiki Ryougi and Mikiya Kokutou, and about an ongoing murder investigation. The movie “frames” you into a certain perspective that “this person must be the killer.” It stacks up to such a mountain of visual evidence that it seems impossible, illogical even, that the killer could be anyone else. 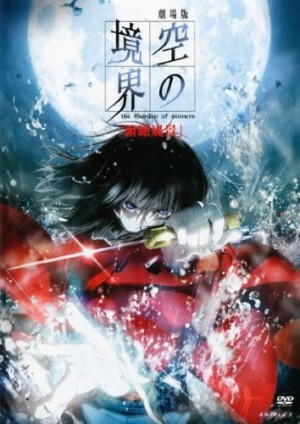 Kara no Kyoukai has a subtitle: The Garden of Sinners. Through much of the movie series, you will see antagonists challenge Shik. In doing so, they act as foils and reveal more about Shiki by proximity. While Shiki is the protagonist of the movie series, that’s not meant to be confused with the hero. It’s not Garden of “Sinner,” it’s plural. The truth is if you frame the movie in a different context, then Shiki can’t be a hero, not because she isn’t one, but because normal society wouldn’t see her as one. From this paragraph and down, I’m going to need to give you a spoiler warning. How I defend the above argument requires context, and without that, I feel you’d lose out on one of the most important elements on Kara no Kyoukai. If you’re concerned about spoilers though, feel free to skip to the end of the article. Ryougi Shiki is an outcast. Her qualities make it so that by normal societal standards, she is someone who has the makings of a villain. She is a person that--if you give logic its due process--could not be, cannot be, and will never be a hero. When the second movie presents its visual evidence, it’s making a statement. Society does not see her as someone normal. She is “She will never be anyone else other than a killer.” That logic is the problem these movies need to address. To give hope within the Garden of Sinners means to justify someone... No--not justify, to believe in someone who wants to kill others. Shiki is written and drawn in a way that emphasizes her isolation. From the outside, she initially dresses in only a kimono, traditional clothing worn during special occasions such as marriage, festivals, and coming-of-age ceremonies. While more casual dress wear has emerged for the kimono, her outfit stands as a visual indicator--that she lives attached to tradition and the past. However, wearing a jacket is hardly enough. Shiki’s entire life is in isolation. On the outskirts of society, overlooking modern-day Japan, enclosed within a forest of bamboo, is a traditional Japanese mansion owned by the Ryougi clan. The Ryougi family is a clan of demon killers, prominent for their techniques and renowned for a unique tradition. When a child is born from the clan, there is a chance they may inherit a second personality. This second personality, if it manifests, allows them to inherit the techniques required to be the family head and an effective killer. This is Ryougi Shiki. Before she even existed, she was forced into a role that would isolate her from modern society. While tradition gives her a solid foundation, it also traps her. While she may have a strong past, she no longer has a future. The time for killing demons has already passed and her purpose along with it. The first step she takes forward seems unrelated. It’s a choice that influences her identity, a coming to terms with the modern day. When she wears the red jacket, it’s her attempt to fit in. It balances her traditional kimono with a modern look. For someone who’s lived her whole life in isolation, wearing this jacket was the first time she crafted her identity into something else. Her identity is written into her name: 両 (Ryou or “both”) 儀(Gi or “ceremony”), 式 (Shiki or also “ceremony”)--literally both ceremonies. This is confusing at first, but in the teachings of the Japanese Onmyōdō, or The Way of Ying and Yang, Ryougi is another way to say exactly that: Yin and Yang. Balance is a prominent theme within Kara no Kyoukai and many of its themes are structured around Taoist doctrine. Taoism is an ancient religion and philosophy that originated in China and spread throughout Asia. One of its most recognizable concepts is the taijitsu, commonly referred to as the yin and yang symbol. A simplified explanation is that the world can be split into different categories, two of which are the yin (female, passive, cold, water, night, etc.) and yang (male, active, warm, fire, day, etc.). The small dots within the symbol indicate that even though Yin and Yang are different, they aren’t mutually exclusive. By creating a balance and understanding how seemingly opposing elements are actually connected, you can reach harmony in your life. Initially, everything is stacked against her. She was born to be a killer, society believes she is a killer, she cannot resist her urges to be a killer, and most importantly, she cannot see herself as anything but a killer, then logic says one thing: she is a killer. If logic is what is weighed against her, then it’s fitting that faith (Taoism) is what restores that balance. Against all reason, from a background that should favor logic (he has relatives in the murder investigation), comes Kokutou Mikiya. His belief in others is what brings harmony, but he too, is abnormal. 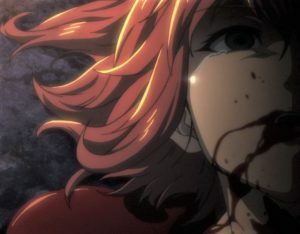 His faith in others hinges on naiveté, and without logic or the proper foundation, he will only get himself killed within the Garden of Sinners. 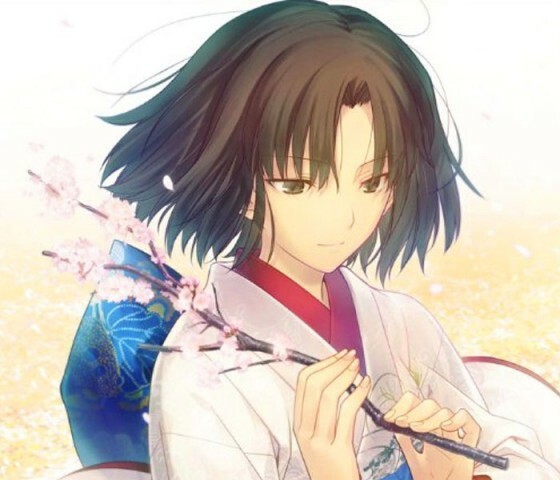 Ryougi Shiki and Kokutou Mikiya represent the extremes of Taoist belief. Alone they are imbalanced, but together they are the Yin and the Yang. Kara no Kyoukai was and still is my favorite movie series to this day. As ruthless and gory as the movie series can be, it’s framed within a context that makes it beautiful. You can look at the garden as a prison or you can look at it for the beauty that is both the flowers and the thorns. However you watch Kara no Kyoukai, I hope it will change you as much as it did me. So many of these stories have greatly influenced how I’ve come to think, and truthfully, without them, I struggle to see what kind of person I’d be today. In writing the article the way I did, I diverged from the normal format, combining something close to an analysis, review, and my background story. If you came here to read any of those 3, I hope I satisfied your curiosity. I think stories change people in multiple ways, and it’s surprising how much when we look back on our lives. If you feel similarly about any of these stories or want to share how much an anime-influenced you, I’d love to hear about it in the comments. Also, if you appreciated the more analytical aspects of this article, I’d be grateful to hear your thoughts. 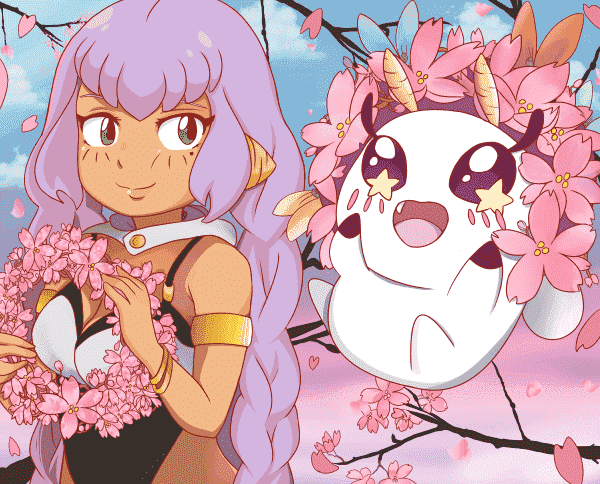 It took a lot of courage to write this piece, but if I was able to give you new insight and appreciation into the anime medium, then I’m glad--you made my efforts mean something. A motivated writer hoping to share his passion for video games, literature, and visual media. I'm the main streamer of FinestKO, a variety game stream with roots in the fighting game community. Whenever there's time, you can usually find me broadcasting or writing for the next article.